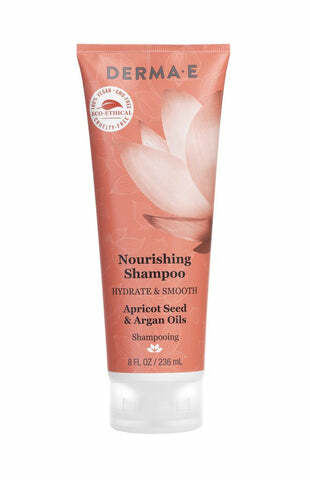 This nourishing shampoo uses argan oil and apricot seed oil to deliver a concentrated boost of intense antioxidant-rich moisture to nourish, hydrate, and add shine while promoting smooth, silky hair. It locks in essential moisture to tame frizz, while stimulating your hair follicles and balancing oil to revive your hair from root to tip. Safe for color treated hair. Sulfate-free and silicone-free. Water, Decyl Glucoside (Plant Derived), Lauryl Glucoside (Plant Derived), Sodium Cocoyl Glutamate (Coconut Derived), Disodium Cocoyl Glutamate (Coconut Derived), Glycerin (Vegetable Derived), Sodium Lauroyl Lactylate, Sorbitan Sesquicaprylate, Quillaja Saponaria Molina (Soap Tree) Bark Extract, Hydrolyzed Quinoa, Sodium PCA, Sodium Lactate, Leuconostoc/Radish Root Ferment Filtrate, Arginine, Aspartic Acid, PCA, Glycine, Alanine, Serine, Valine, Proline, Threonine, Isoleucine, Histidine, Phenylalanine, Panthenol (Provitamin B5), Argania Spinosa (Argan) Kernel Oil, Prunus Armeniaca (Apricot) Kernel Oil, Xanthan Gum, Phenoxyethanol, Ethylhexylglycerin, Sodium Benzoate, Natural Fragrance Oils. Massage through wet hair and scalp creating a rich lather. Rinse thoroughly. For best results, follow with DERMA E's Nourishing Conditioner.